Handful of mosquitoes, Culex tarsalis, representing a day's catch in Coachella Valley in 1995. DAVIS--There aren't many medical entomologists who have done what William “Bill” Reisen has done or what he will do. Internationally known for his mosquito research and publications spanning more than four decades, Bill Reisen officially retired in July from the University of California, Davis, but mosquitoes shouldn't breathe a collective sigh of relief and go about their blood-sucking business. Reisen, now a professor emeritus with the Department of Pathology, Microbiology and Immunology (PMI), School of Veterinary Medicine, vows to continue his mosquito research; manage the vector-borne disease surveillance diagnostics lab; advise graduate students in the School of Veterinary Medicine; mentor several new PMI faculty members; direct the Center for Vectorborne Diseases (CVEC) and edit the Journal of Medical Entomology. In between, he and his wife Norma will travel throughout the United States and Europe and to their mango farm in the Philippines. And along the way, he'll probably encounter the 10 species mosquitoes that he developed a close and personal relationship with--“skeeters” that transmit diseases such as malaria, yellow fever, encephalitis and West Nile virus. “And,” Scott added, “he is a genuinely good person. For those of us fortunate enough to have worked with him, Bill is recognized for the exceptional rigor of his science and uniquely high quality of his character." Bill Reisen working in Pakistan. Reisen is the newly selected editor-in-chief of the Journal of Medical Entomology, published by Entomological Society of America (ESA). He had earlier served as a co-editor from 1988 to 2000 and subject editor since 2000. The journal, published bimonthly, focuses on all phases of medical and veterinary entomology and acarology, including the systematics and biology of insects, acarines (mites and ticks), and other arthropods of public health and veterinary significance. In addition, Reisen has served as a member of the editorial board of the Journal of Science and Climatic Change, since 2010 and Vectorborne and Zoonotic Diseases since its inception. 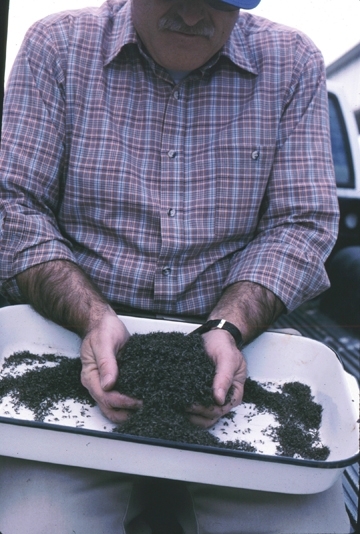 Young Bill began his academic career as an undergraduate in entomology at the University of Delaware in 1963 and as a research assistant with Clemson University in 1967, monitoring organochloride insecticide residues in fish and aquatic insects. As a teaching assistant at Clemson, he taught animal ecology in 1968 and continued his research on stream ecology and fish-feeding behavior. Reisen served as a captain in the U.S. Air Force from 1969 to 1971. He was assigned to the 5th Epidemiological Flight, Manila and 1st Medical Service Wing, Clark Air Base, Republic of the Philippines. His duties included vector-borne disease surveillance and control programs on USAF Bases in Pacific Air Command, which took him on temporary duty to Japan, Taiwan, Korea, Okinawa, Thailand, Guam and Hawaii. Reisen resumed his academic career from 1971 to 1974 when he taught entomology, zoology, ecology and parasitology courses as a teaching assistant at the University of Oklahoma. He then worked as a research associate from 1974 to 1975 at the University of Maryland School of Medicine, where he did research on a malaria mosquito, Anopheles stephensi, and assisted David Clyde during the first malaria vaccine trials in humans. In 1975 Reisen was assigned to the University of Maryland School of Medicine's Pakistan Medical Research Center in Lahore, Pakistan, where he served as an assistant professor of international medicine from 1975 to 1980 and headed the Ecology Department. His research involved population ecology and the bionomics of Pakistani mosquitoes and their relation to pathogen transmission and field trials related to genetic control of mosquitoes. 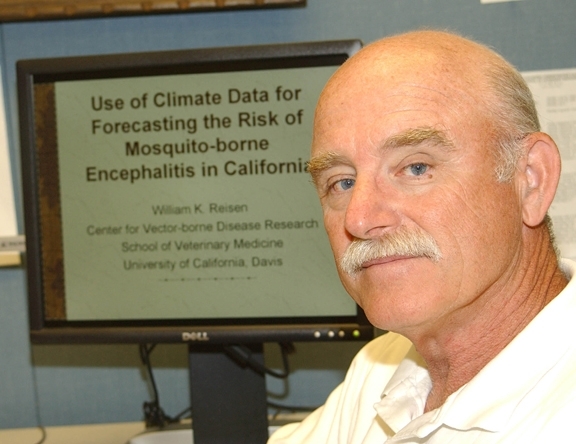 Reisen moved to California in 1980 to become research entomologist and director of the Arbovirus Field Station of the UC Berkeley School of Public Health in Bakersfield. “I worked on population ecology, bionomics, genetics and vector competence of Culex tarsalis in relation to arbovirus ecology and control in California until 1995,” he said. The program later transferred to the UC Davis School of Veterinary Medicine in 1996 and CVEC was born. Reisen remained in Bakersfield until 2005 when he moved to the UC Davis campus and later became director of CVEC in September 2009 and a PMI adjunct professor in 2005. With the Arbovirus Research Program, he continues to focus his work not only on mosquitoes but people. He has supervised up to two postdoctoral students, four Ph.D. students, one associate specialist entomologist, a computer programmer, four staff research associates, two laboratory assistants and two undergraduate student assistants. Lifetime Award for Achievement in Medical Entomology, Society for Vector Ecology, presented at the International Congress, 2001. Fellow, Entomological Society of America, 2003. Academic Federation Award for Excellence in Research, UC Davis, 2004. Reisen is a past president of the Society for Vector Ecology and chaired the ESA's D Section and the Publications Council. He also chaired a number of subcommittees, including the Disease Control Subcommittee, of the California Mosquito and Vector Control Association, and headed the Vector Control Advisory Committee of the California Department of Health Services (CDHC), among other leadership activities. Reisen's work includes 297 peer-reviewed research publications, plus book chapters. 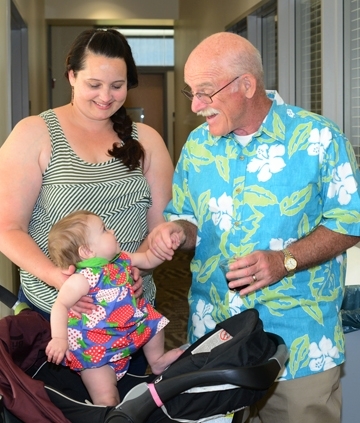 Since 1984, Reisen has guided seven Ph.D. and postdoctoral students: Mark Eberle, UC Berkeley School of Public Health, and Carrie Nielsen, Christopher Barker, Jennifer Kwan, Gabriella Worwa, Tara Thiemann and Sarah Wheeler, UC Davis. He currently serves as the major professor for two graduate students in Comparative Pathology: Veronica Armijos[rev1] , also manager of the Thomas Scott lab in the Department of Entomology and Nematology, and Andra Hutton. 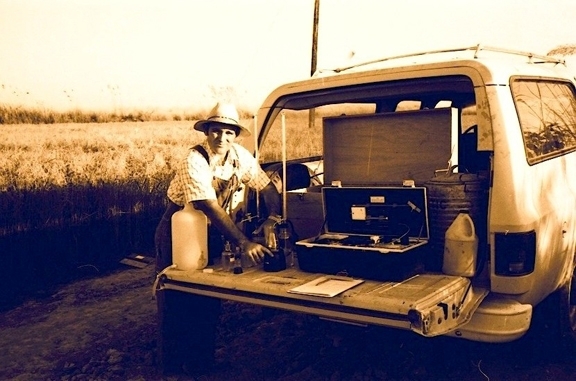 Robert Washino, emeritus professor and former chair of the UC Davis Department of Entomology and a former administrator with the UC Davis College of Agricultural and Environmental Sciences, lauded Reisen's career. 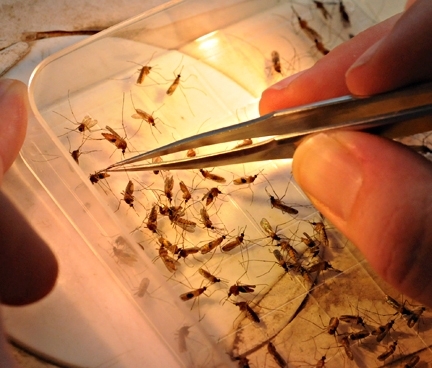 “Bill's work on several important malaria anopheline vectors in that country constituted important contributions and also included studies on Culex tritaeniorhynchus, the vector of Japanese Encephalitis virus, somewhat comparable to Culex tarsalis, the vector of several arboviruses in the western U.S.,” Washino said. 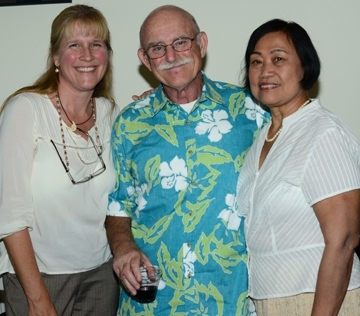 “Bill will forever be remembered as the continuing lead investigator of the important W. C. Reeves, UC Berkeley arbovirus program in California,” Washino said. He praised Reisen's collaborative work with the California Department of Public Health and local regulatory agencies of the Mosquito and Vector Control Association of California. 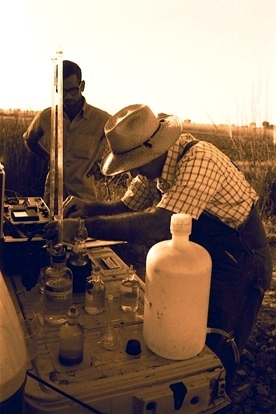 Bill Reisen water-testing mosquito habitats near Lahore, Pakistan, in 1976.